It's spring! And that means a lot of things for Houstonians— the start of baseball season, outdoor festivals, the annual Art Car Parade or maybe just savoring the last couple months of not sweating through every piece of clothing on your body. Luckily for you, we’re keeping it cool in Downtown with some events you cannot afford to miss out on. It’s that time–the Houston sports trifecta–where the stars align and the Dynamo, Astros and Rockets are all in season at the SAME TIME. With 17 home games this season, there are plenty of chances to catch the Dynamo in action. Or, as we prefer to call them, “The 2018 U.S. Open Cup Champions.” Don’t miss the intense match-up between the U.S. Men’s National Team and Chile at BBVA Compass Stadium on March 26. While you’re there, say a little prayer/chant/mantra just in case—fingers crossed—Houston lands one of the host city spots for the 2026 World Cup. Birds are singing, flowers are blooming and Houston baseball is returning to put the BEAT DOWN on everybody. Our boys Altuve, Bregman, Verlander and the rest of the Astros are ready to #TakeItBack this season, beginning with a home opener on April 5 against the Oakland A’s at Minute Maid Park. It’s getting hot, and we think the Houston Rockets could be to blame. Time to show up and #RunAsOne to support The Beard, The Manimal and CP3 for a play-off spot! Can’t-miss games include competitors like Joel Embiid and the 76ers on March 8, Steph Curry and the Golden State Warriors on March 13 and Nikola Jokić and the Denver Nuggets on March 28. We know how to party, which is why Downtown is THE PLACE for major events happening in this city. Two days filled with circus acts, celebrity appearances and six stages of entertainment. It’s a kid’s dream weekend in Downtown at the McDonald's Houston Children’s Festival happening around City Hall, Tranquility Park and Sam Houston Park on March 30-31. This party may be for kids, but we won’t judge if you’re first in line to get tickets, with or without a tot in tow. 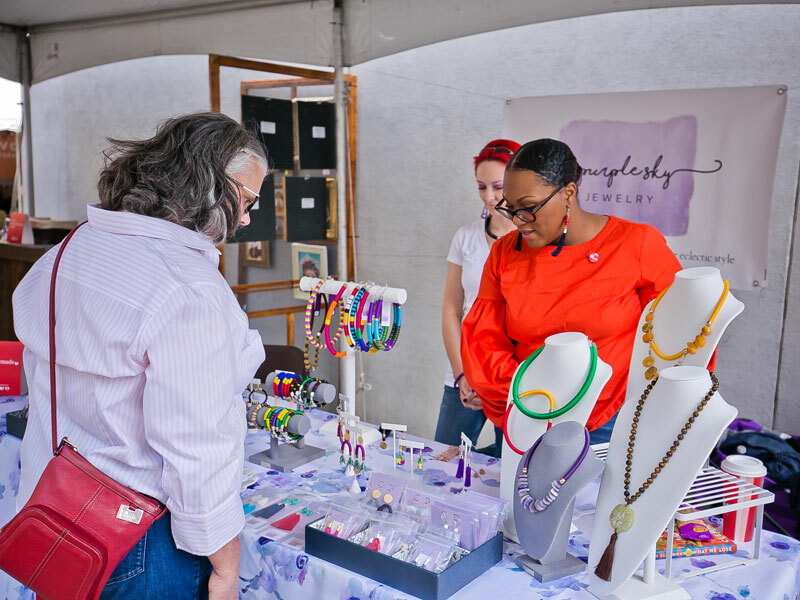 The Heartmade Art Market will take to the streets of Downtown Houston with a bi-annual event on May 4 in Main Street Square. Spend the day exploring the works of 70+ local artists, crafters and creatives accompanied by live music and food trucks. The 60th Annual Houston St. Patrick's Parade is on March 16, now with a new route in Historic Market Square, which may or may not meet at the end of a rainbow. Continue the celebration at Market Square Park with food, games and a live concert by Celtic Rock band Murder the Stout. Next, grab some Irish stew, boxty, coddle and black pudding (yes, we looked those up) and wash it all down with a Guinness during the Saint Patrick's Day Pub Crawl. Ever want to know what it’s like to live in one of those beautiful, historic Downtown lofts, condos or high rises? Well, now you can—pretend, that is—during the Downtown Home Tour on March 30. This self-guided tour explores six properties, with sneak peeks into new projects and area hot spots. (And it might be juuuuuust enough of a taste of Downtown living to convince your S.O. to put down an offer.) The best part? Ticket proceeds will benefit Houston Coalition for the Homeless. 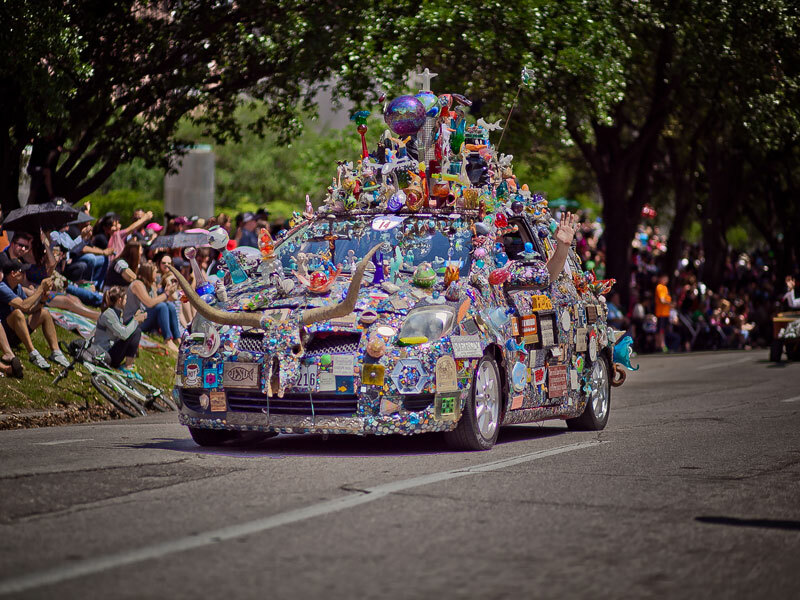 There are few things more quintessentially “Houston” than our annual Art Car Parade. Now in its 32nd year, the highly anticipated event (the largest of its kind) boasts 250+ originally decorated cars, bikes and other wheel-based entries that fill the streets of Downtown Houston on April 13. Get a first look at this year’s cars during a sneak peek event at Discovery Green on April 11. Visit our online calendar to learn more about all the excitement happening throughout the season, and plan ahead with our interactive map to make parking a breeze in garages and surface lots or with plenty of on-street parking available in the area.